Home > Blog > Look at the top of this photo…….SUNSHINE! Look at the top of this photo…….SUNSHINE! There’s something I haven’t seen for a while, the sunshine – which made a welcome return today! It was so cold this morning that I had to scrape the van windows, but this is the most perfect day for dog walking…..it is days like today that I forget to stop! A great morning walk with Holly & Ivy, Rudi & Sheulie, Monty, Lucy, Coco and Kellie and we met my friend Rona and her two dogs so there was quite a pack of us! 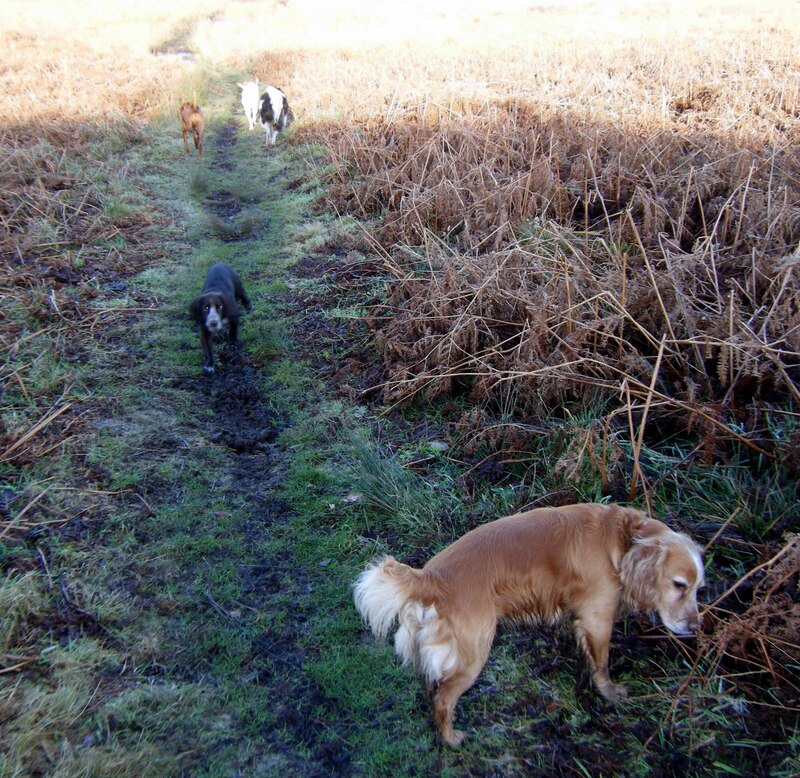 My black labs are on holiday this week, so a quieter afternoon walk with Skye, Jude, Buddy, Kellie and Riley…..I love days like today and hope the sun stays for a wee while.